When it comes to controlling weeds, Commercial Weed Control gets to the ROOT of the problem! We totally understand weeds and the problems they can create for your business operations. Overgrown weeds, plants, and unwanted vegetation are not just a visual nuisance they can also affect your industrial and business operations. Commercial Weed Control can help get rid of them through customized weed spraying and brush mowing. We use John Deer tractors and other state-of-the-art tools and machines, depending on your terrain and the scale of the job. We bring you professional weed control services that not only help get rid of the vegetation overgrowth but will help keep weeds away permanently so that it doesn’t destroy or hinder your property, investments and business operations. Our weed control service covers all types of harmful and harmless weeds that you may find growing on your land and business property. 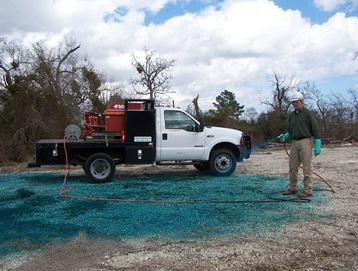 Commercial Weed Control provides vegetation management services which can help you control undesired plant growth through weed spraying, industrial mowing, and ground sterilants. Wherever there are plants and vegetation you don’t want we can help you get rid of them. Commercial Weed Control handles any type of weed or undesired plant problem on all types of commercial, industrial or vacant property. We provide highly tailored weed control services for industries and businesses at very competitive rates. 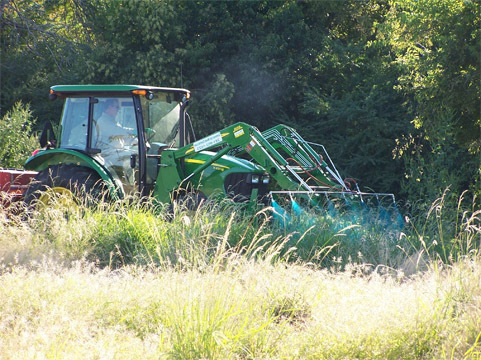 Once you decide to partner with us you can rest assure that we will carry out the maintenance, weed spraying, and mowing operations without interrupting you and your day-to-day business activities. The best kind of service is a service that you get as you need it and when you need it. We are here to take your call 7 days a week, 24 hours a day. Our team of weed control experts will meet with you to discuss your business requirements. We will then provide the best practical solution according to your business needs. Commercial Weed Control will offer you a weed control plan that you can fully customize. Worried about the safety of your surrounding environment? Contact us today for more details and a free assessment.